Finances do not need to be so complex. I show you what makes up a Personal Financial Statement and how to read it. What a great and not so great financial statement looks like. You will learn what your true NET worth is and how “getting rich” is really a simple matter of changing a negative to a positive or “greater than” to a “less than”. * How much house you can really afford and why you shouldn’t rely soley on real estate agents and bankers. Note: These principles are based on what it says in the Bible. Regardless, if you are “religious” or not you can benefit from applying these methods. I am not interested in preaching to you but I am excited to share what I have learned and the freedom that comes along with being debt-free. 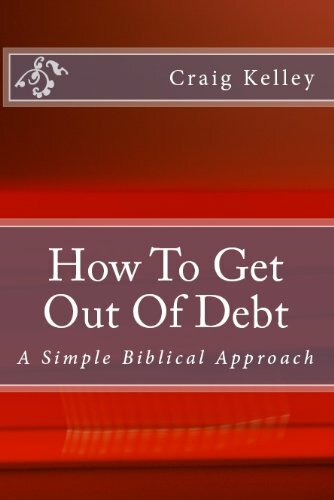 This is the Kindle version of How To Get Out Of Debt – A Biblical Approach To Living Debt-Free that you can also download and read on your computer and mobile phone. Kindle books are DRM protected and therefore, unlike ebooks that are in PDF or ePUB format, you cannot read this ebook without the official Kindle apps.